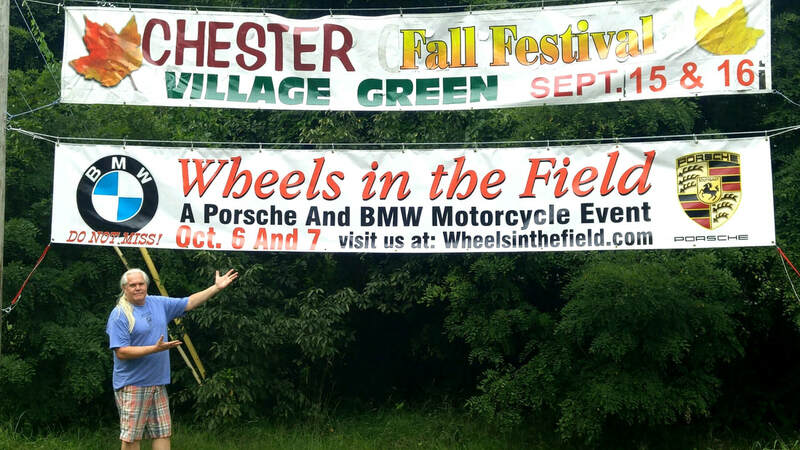 Welcome to the Wheels in the Field inaugural event! Join us in Chester, Vermont during peak foliage where we will be in full swing celebrating an Oktoberfest theme for Columbus Day Weekend. Come view a collection of Classic Porsche's across from our town Green at the Historic Academy Building grounds-- and don't miss out on the exciting Scottish Trials on BMW GS Motorcycles at the Pinnacle Recreation Area off Lovers Lane. ​We hope to see you at our festive Motorsports event, located in beautiful Southern Vermont during the most picturesque times of the year! For more information about the event, please visit the Event Schedule page.